Nancy's Red, Drummore Apricot, Toffee Nosed, Tetbury Torch, Royal Standard, caulescens. 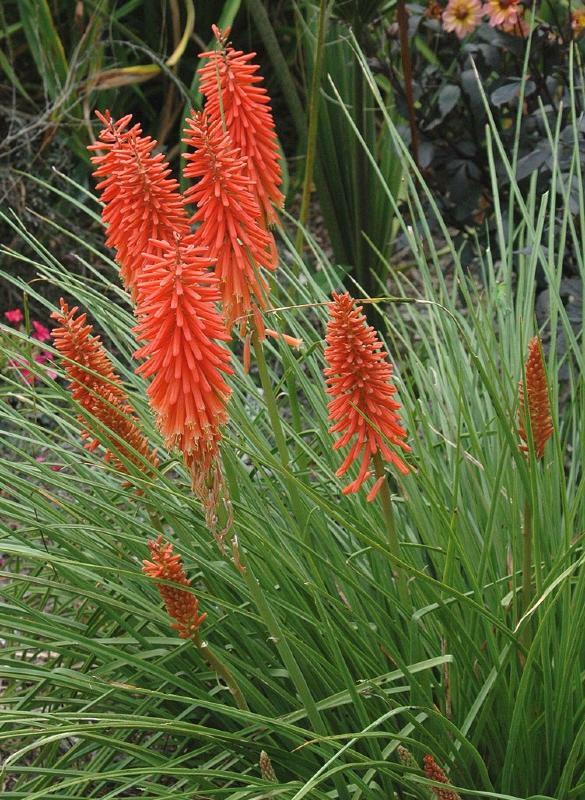 A collection of six of the most outstanding varieties of Red Hot Poker. 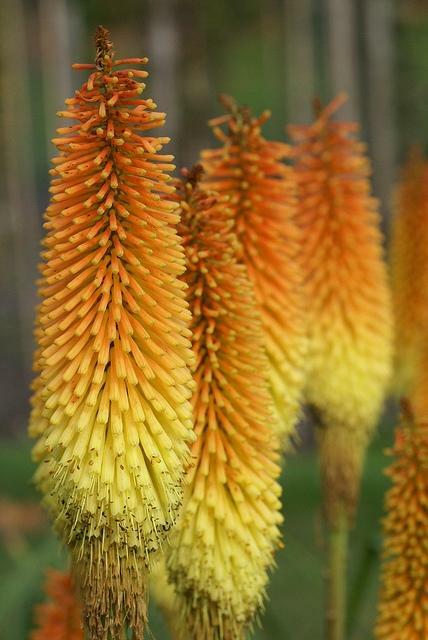 Kniphofias are one of the stars of late summer into autumn, with their fiery pokers in colours from yellow through to bright red. 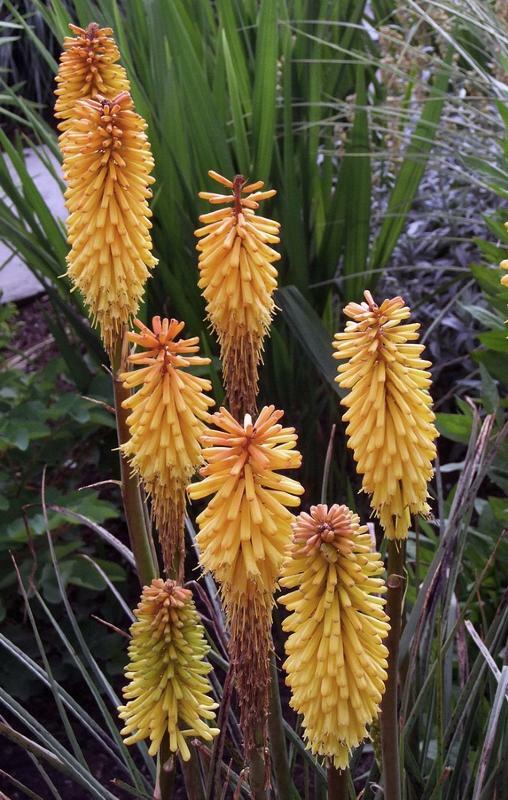 Kniphofia, also sometimes called Tritoma, Red Hot Poker, Torch Lily or Poker Plant, is a genus of plants in the family Xanthorrhoeaceae, that includes 70 or more species native to Africa. 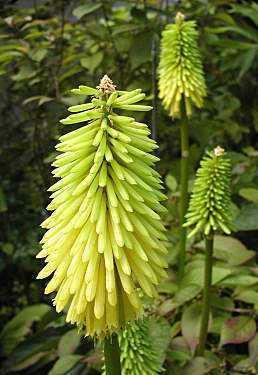 Some species have been commercially used horticulturally, and are commonly known for their bright, rocket-shaped flowers. 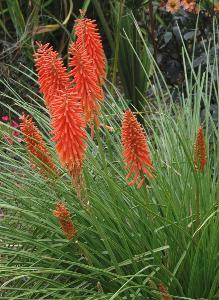 These plants produce spikes of upright, brightly-coloured, red-to-orange flowers. 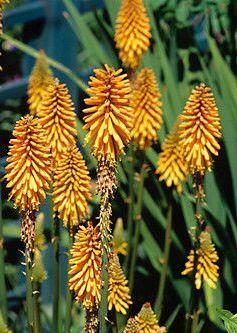 This gives names such as "torch" and "red hot poker" to many of them. The flowers produce copious nectar while blooming, and may attract many insect species. 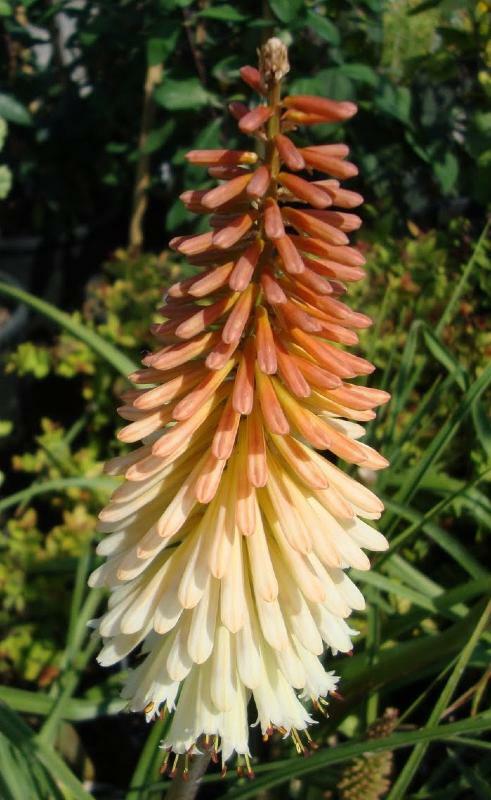 The Kniphofia genus is named after Johann Hieronymus Kniphof, an 18th century German physician and botanist.